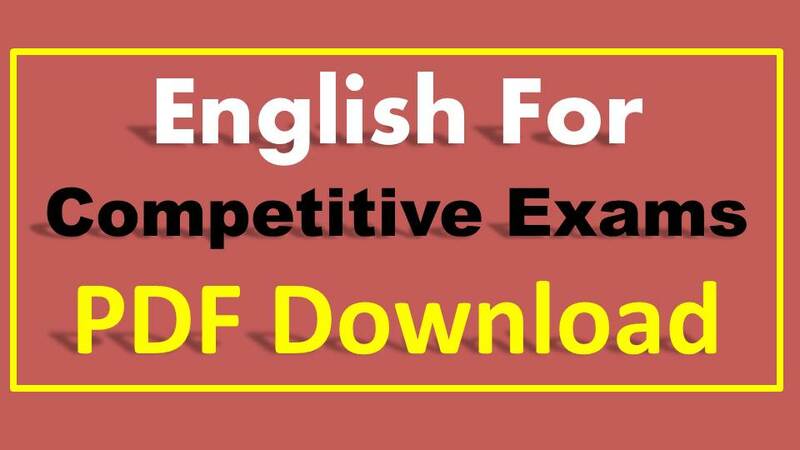 English For Competitive Exams PDF: hello readers here we discussing the general English subject useful for the all the competitive exams. The central and state government job English language is the most important subject for central government latest jobs. Below this post providing the Best English Grammar Study Notes and Previous year asked questions. These study material and previous year questions are helpful which type of questions are asked by the Recruitment board of the competitive exams. This post having total 3 categories those are Study Notes, Tips and Tricks and Best Suggested Books. Selection Commission Paper 2 English Language Having 200 Marks.